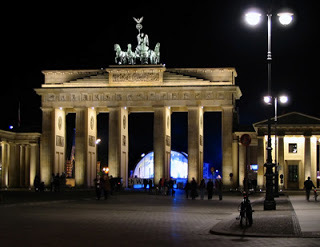 I attended the recently concluded SAP TechEd 2010 in Berlin where, in one of several sessions, SAP made a very good case for its data integration/migration tool SAP BusinessObjects Data Services. SAP is posturing SAP BODS as the de-facto integration tool for their customers. In all it is a good tool, its Data Quality capability making it a powerful integration/migration tool, I can testify to that. But then, just being a good application isn’t enough. Before investing a pertinent question to ask is; is it fit for purpose? To throw some light into ‘Is it fit for purpose’. I would say yes if the client is heavily reliant on SAP for its operations. If the client has disparate source systems of which SAP is one of them then it is debatable if SAP BODS is fit for purpose. Also of note is SAP BODS ability to integrate easily with SAP MDM. MDM made easy I would say!!! Some of you Informatica PowerCenter users or would-be users surely will like to know this: I did ask an SAP Labs Consultant if third party tools, actually mentioned Informatica, could be used to integrate external data sources with SAP MDM and I got a positive answer. How to, is a topic for another day.